While CHW interventions improve health outcomes, evidence identifying specific domains of CHW-delivered support resulting in positive outcomes is limited. 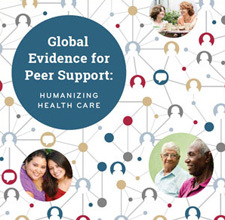 Our goals were to identify domains of CHW-delivered support that assist families with adhering to recommended pediatric care; and, to identify predictors of successful completion of an enriched medical home intervention (EMHI) using trained CHWs making home visits to provide health education and support positive health behaviors. We performed a prospective descriptive study of 88 families participating in a protocol-based EMHI. Completers (N = 46) finished the program with mutual agreement that the family can independently adhere to recommended clinical care….